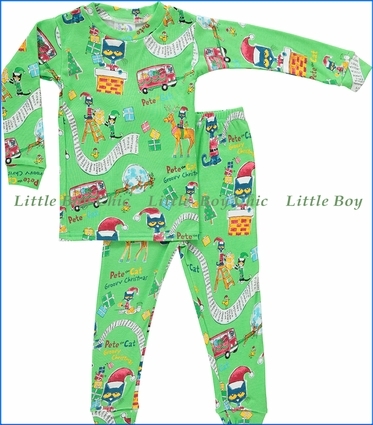 Come sing and play along with Pete the Cat in these green Christmas PJs featuring holiday scenes! The perfect set to bring the season to sleep time. This garment is not flame resistant and should be worn snug. Already sized for shrinkage so sizing up is not needed.